There are many ways for kids to learn the alphabet from the classic ABC song to books, flashcards and videos. Then, when they’ve memorized the ABC’s they learn about capital vs. lowercase letters. This can be done using matching exercises and games. One way to help children expand the learning is through context. 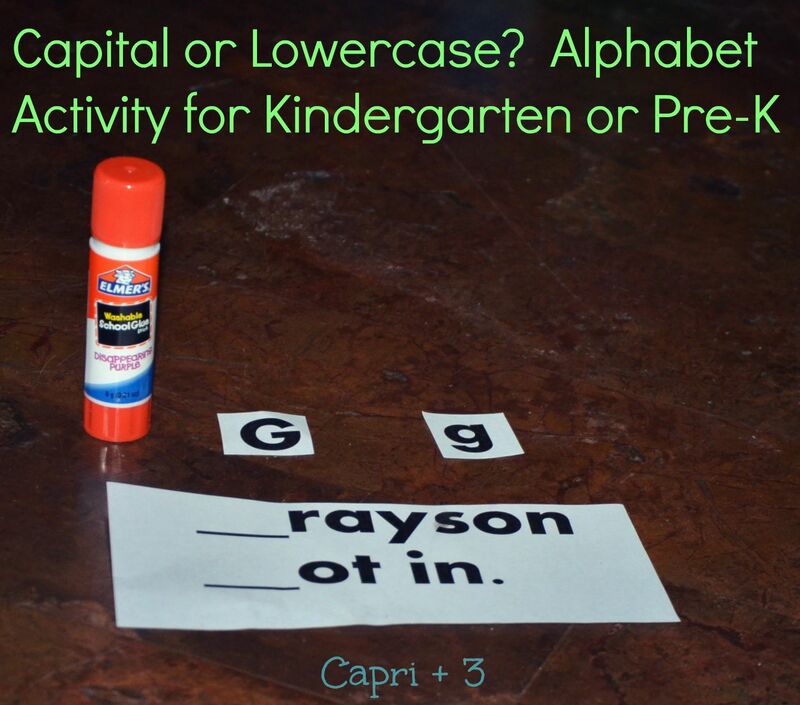 This activity gives them a meaningful way to use capital and lowercase letters in a simple sentence. Write or type a simple sentence that starts with a name (with a blank for the missing letter) and has the same letter in middle or end of the sentence that should be lowercase (with a blank for the letter). Talk about how people’s names always begin with a capital letter. Let them know that sentences always begin with a capital letter. Have them cut out the capital and lowercase letter and glue them in the appropriate spaces in the sentence. This activity can be done individually, as a small group or in a large classroom. If you are doing it individually or in a small group, it is fun to use the children’s names. If you are doing this activity with a large class, you can substitute the names of the children for the name of a character in a book you are reading as a class. That way, you can print out one activity sheet for the whole class. Alternatively, you could do this activity on a dry erase board with tape or make pieces for a felt board. Students can come up one at a time and put in the missing letters. We love the Letter Factory, Talking Words Factory and many of the other Leapfrog dvds. We own most of their learning DVD’s and have gotten our money’s worth and then some in the learning they continue to provide. Chicka Chicka Boom Boom by Bill Martin Jr. and John Archambault is wonderful, and rhythmic and just plain fun. 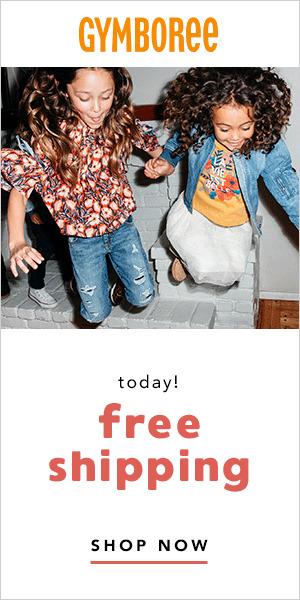 Already have it? I have a whole Chicka Chicka Boom Boom Pinterest Board dedicated to learning activities to go along with this book! 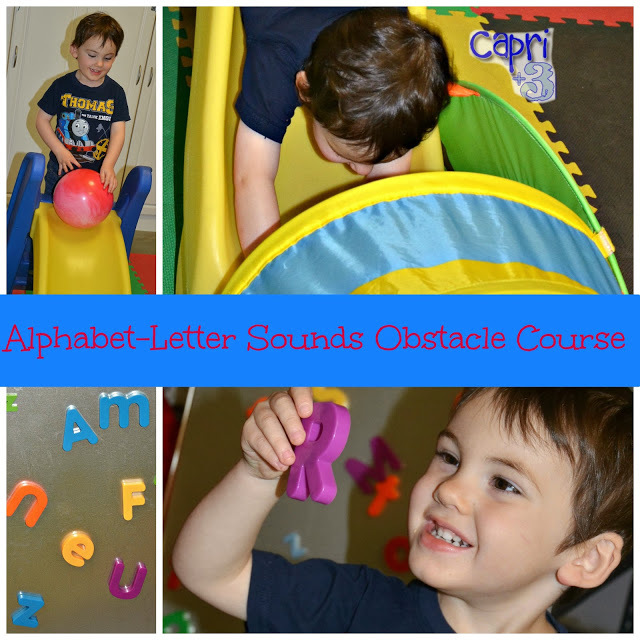 What a wonderful activity for helping kids distinguish between uppercase and lowercase letters. Great fun! Ordering the train video this morning. My 5 year old needs the repetition to learn the letters and we have the Letter Factory already! Thanks for the rec. 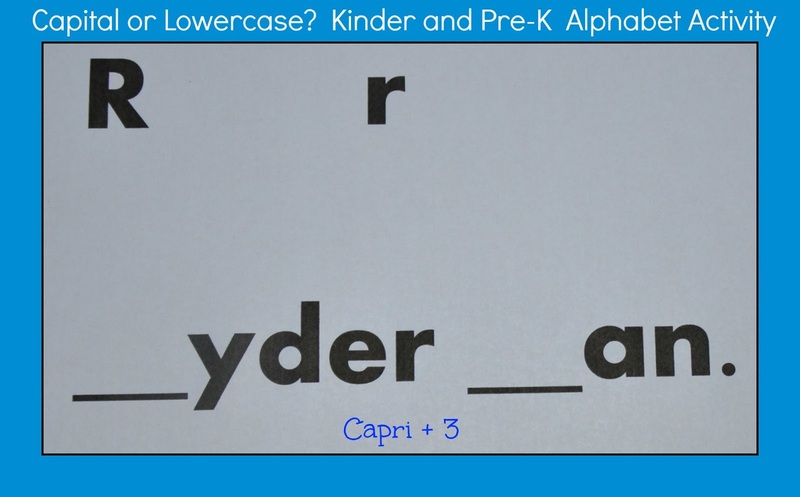 Great activity to help them learn the difference between upper and lowercase letters. I think it is helpful to add some context once they recognize the difference visually. I hope your son enjoys the video. We had a 100% approval rating with our kids! It also teaches them new vocabulary. I have heard so many good things about the Letter Factory videos! I think we may need to invest in a few! We love the Letter Factory DVD! I am going to check out the Alphabet Train one. This is a great idea! My daughter is just starting to discern between letters. When she's in pre-k, I'll definitely try this one out. This is great! I wish I had tried these games and resources when my daughter was learning this. Maybe with my son, when he's ready! I think you will find they are well worth the investment. You can often get a discount buying them in bundles too. The Alphabet Train introduces the alphabet within the context of trains. Every letter has something corresponding with trains. Our kids find it fascinating. If your little ones like trains, this is really educational. I hope she enjoys the activity when she is a little older. If you don't already own the Leapfrog series of educational DVD's, I cannot recommend them enough for gaining early master of basic letter sounds and phonics. Perhaps your son will enjoy these activities when he is a little bigger. The Letter Factory DVD is a great learning tool when he is old enough to benefit from a DVD. Oh, we need to check out the train video. Thanks for the recommendation. If your little ones love trains, this is great for building vocabulary. I imagine he would have loved it.